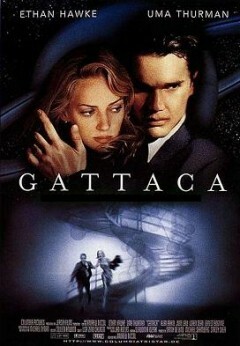 Vincent Freeman is the central protagonist of Gattaca. 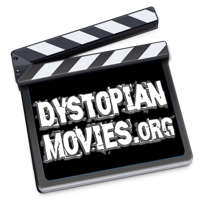 He tells us his story of how he overcomes the restrictions placed upon him by an inflexible and intolerant totalitarian regime that is unwilling to consider him of any value. Vincent: The most unremarkable of events: Jerome Morrow, navigator first class, is about to embark on a one-year manned mission to Titan, 14th moon of Saturn. A highly prestigious assignment, although for Jerome, selection was virtually guaranteed at birth. He’s blessed with all the gifts required for such an undertaking: a genetic quotient second to none. No, there is truly nothing remarkable about the progress of Jerome Morrow… except that I am not Jerome Morrow. Vincent: I belonged to a new underclass, no longer determined by social status or the color of your skin. No, we now have discrimination down to a science. Vincent: They used to say that a child conceived in love has a greater chance of happiness. They don’t say that anymore. I’ll never understand what possessed my mother to put her faith in God’s hands rather than those of her local geneticist. Ten fingers, ten toes, that’s all that used to matter, but not now. Now, only seconds old, the exact time and cause of my death was already known. Vincent: From an early age, I came to think of myself as others thought of me: chronically ill. Every skinned knee and runny nose was treated as if it were life-threatening. Vincent: Maybe it was a love of the planets, maybe it was just my growing dislike for this one, but for as long as I can remember, I have dreamt of going to space. My goals didn’t change a lot in the intervening years, much to my parents’s dismay. Vincent: Mom, there’s a chance there’s nothing even wrong with my heart. Vincent’s Father: One chance in a hundred! Vincent: Well I’ll take it all right? Vincent’s Mother: The trouble is that they won’t. Vincent’s Father: Listen for God’s sake, you gotta understand something, the only way that you’ll see the inside of a spaceship is if you’re cleaning it. Head Cleaner: What about you, your majesty? You’re dreaming of space? Come here. You have to start by cleaning this space right here! Vincent: My father was right. It did not matter how much I lied on my resume. My real resume was in my cells. Why should anybody invest all that money to train me when there were a thousand other applicants with a far cleaner profile? Of course, it’s illegal to discriminate, ‘genoism’ it’s called. But no one takes the law seriously. If you refuse to disclose, they can always take a sample from a door handle or a handshake, even the saliva on your application form. If in doubt, a legal drug test can just as easily become an illegal peek at your future in the company. Vincent: For all my brave talk, I knew it was just that. No matter how much I trained or how much I studied, the best test score in the world wasn’t gonna matter unless it had the blood test to go with it. I made up my mind to resort to more extreme measures. Vincent: For the genetically superior, success is easier to attain but is by no mean guaranteed. After all, there is no gene for fate. And when for one reason or another, a member of the elite falls on hard times, their genetic identity becomes a valued commodity for the unscrupulous. Vincent: Eugene never suffered from the routine discrimination of a ‘utero’, or a ‘faith birth’ or an ‘in-valid’ as we were called. A ‘valid’, a ‘vitro’, a ‘made-man’, he suffered under a different burden, the burden of perfection. I was now a member of a relatively new and particularly detested segment of society, one of those who refuses to play the hand that he was dealt. I’m more commonly known as a ‘borrowed ladder’, or a ‘de-gene-rate’. Head Cleaner: When you clean the glass Vincent, don’t clean it too well. Vincent: What do you mean? Head Cleaner: You might get ideas. Vincent: Yeah, but if the glass is clean, it’ll be easier for you to see me when I’m on the other side of it!